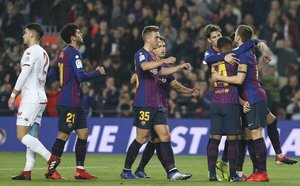 Barca B midfielder spoke after making his debut at Camp Nou, coming off the bench to play 35 minutes in Barcelona's 4-1 win over Cultural Leonesa in the Copa del Rey round of 32 second leg on Wednesday. "It's the dream debut, with a win and I was able to give an assist. But above all, I'll stick with the team showing up." 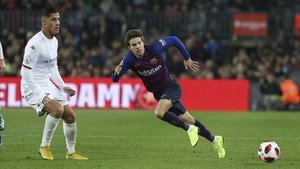 Asked about his fine assist for Denis Suarez for the fourth goal, he said: "It's the fruit of training every day and you have to give your best." He was delighted with his debut. "I came to Camp Nou when I was three years old, imagine the hope I had running out onto the pitch and more that Ernesto gave me 35 minutes, it's a dream."